Complio is American DataBank's comprehensive tool for student screening, immunizations and compliance. The Complio Screening process is simple and straightforward with just five basic steps to complete. The process should take less than 20 minutes. 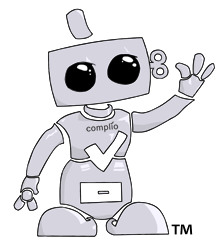 Complio is American DataBank's comprehensive tool for student screening, immunizations and compliance. Click Create an Account to get started. Complio will send an email to the address used during account creation. Click on the Activation Link within the message. Login in and follow Create Order. Follow the prompts and answer the questions. Select a screening Package. Enter the Personal Information required to complete your screening. Add your Residential History. Use your mouse to sign the Disclosure & Authorization Form and authorize the background check. Enter Payment Details. Please read our Refund Policy. Submit your order. American DataBank will immediately begin processing your background check. After you have submitted your order, please access your email account that you provided with your order to obtain the Electronic Authorization Form and drug screen collection site location that you selected. Please visit the Drug Screen Information page for further instructions. Note: **Please be sure to check your SPAM and JUNK MAIL Folders. ** If you have not received your Authorization Form within a few hours of placing your online order please call American DataBank at 1-800-200-0853.